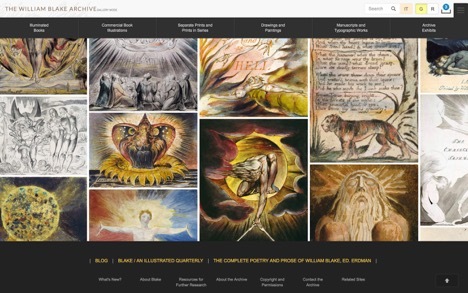 In collaboration with UNC Libraries and ITS Research Computing, the William Blake Archive is launching on 12 December 2016 a complete and transformative redesign of its website. This new site, www.blakearchive.org, retains all of the features of the previous site, which had become so indispensable to Blake scholars, and offers vast improvements, making it easier than ever for educators and scholars to access and study Blake’s inimitable works. 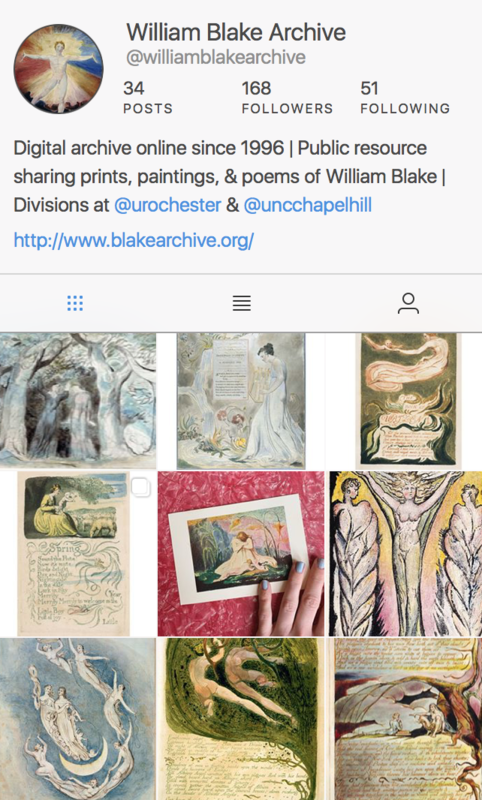 The Blake Archive, one of the pre-eminent digital humanities sites in the world, is a hypermedia archive of Blake’s poetry and art that is sponsored by the Library of Congress and supported by the University of North Carolina at Chapel Hill and the University of Rochester. Past support came from the Getty Grant Program, the Paul Mellon Centre for Studies in British Art, and the National Endowment for the Humanities. The Archive integrates, for the first time, all of Blake’s visual and literary work. It comprises almost 7,000 high-resolution digital images of Blake’s illuminated books, paintings, drawings, manuscripts, and engravings drawn from over 45 of the world’s great research libraries and museums. The redesigned Archive is faster and easier to navigate, is aesthetically more appealing, and offers a more robust search feature. 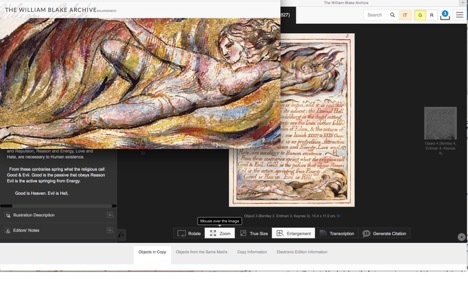 Users may view color corrected digital images of Blake’s works at their true size, and enlarge and rotate these images to examine the text and illustrations in detail. The images are accompanied by diplomatic transcriptions and editors’ notes, as well as illustration descriptions that make it possible to search Blake’s works for visual motifs. The Archive also provides full bibliographic and provenance information for each digital edition it publishes. Though the Archive retains its focus on the material conditions of Blake’s art, presenting images in the context of works and copies, such as The Marriage of Heaven and Hell Copy B, the newly designed site contextualizes each work, copy, and object in a network of relations. Users of the site can view each Blakean object alongside objects in the same copy, objects printed from the same matrix, objects from the same production sequence, and objects with similar designs. This contextualization, which draws on the expertise of the Archive’s editors, enables comparisons across time, medium, and genre, and foregrounds the immense variety and the recurring themes of Blake’s art. The Archive was conceived in 1993—long before the term “digital humanities” was coined—by Morris Eaves, Robert N. Essick, and Joseph Viscomi. Developed at the Institute for Advanced Technology in the Humanities at the University of Virginia, it has been hosted by the UNC Library since 2006. 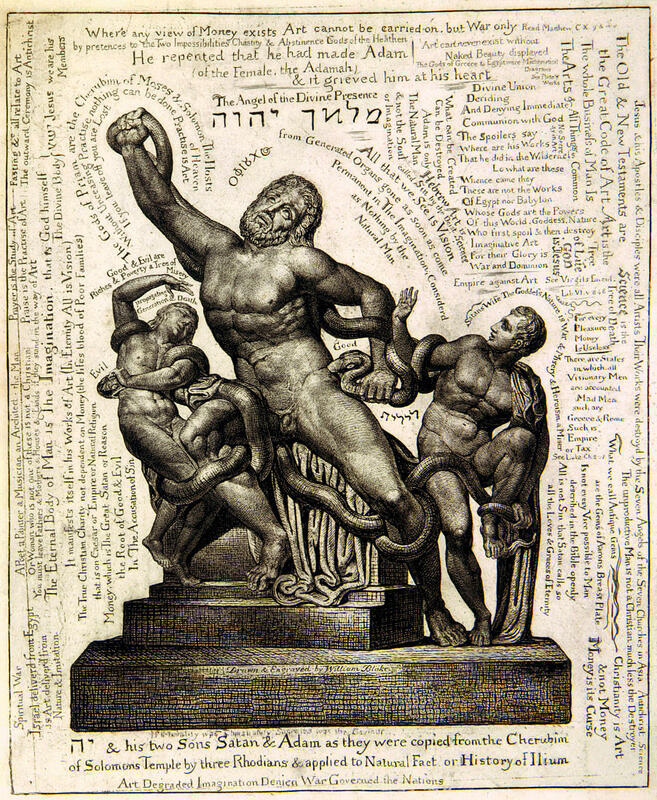 The Archive, which has published 134 fully searchable and scalable digital editions of Blake’s works in all genres, became the first digital scholarly edition to receive the Modern Language Association’s (MLA) Prize for a Distinguished Scholarly Edition (2003) and the first to receive its Approved Edition seal (2005)—landmarks in the history of the digital humanities. The project’s standards and practices have themselves been the subject of considerable scholarship: there are over 50 chapters, essays, MA theses, and reviews on the Archive, its origins, history, development, and use; see Articles about the Archive in the About the Archive section of the site. In late 2013, under the leadership of the Archive’s editors, the redesign team began architecting the new site. In early 2014, the team joined with UNC’s Libraries and ITS Research Computing to re-conceptualize the public face of the Archive, using tip-of-technology programming languages and aesthetic practices. With its new back end built on the open source object-relational database system PostgreSQL and the search platform Solr, and its front end composed in the AngularJS framework, fit for dynamic views demanded by the complexities of Blake’s works, the Archive will again set the gold standard for digital humanities projects. The Archive’s redesign team was headed by co-editor Joseph Viscomi and comprises Consultant on Special Projects (and former Project Manager) Ashley Reed, Managing Editor Joseph Fletcher, and Assistant Editor Michael Fox, who as system architect designed the new front and back end, and contributed programming. Special thanks goes to Frank Yonnetti at DesignHammer for implementing the foundation of the interface. Assistant Project Manager Grant Glass joined the team in 2016. Further development and financial support came from Sarah Michalak, UNC’s University Librarian and Associate Provost, Chris Kielt, UNC’s Vice Chancellor and CIO, and Mike Barker, Assistant Vice Chancellor of Research Computing, who collaborated with a team from UNC Libraries under Associate University Librarian for Digital Strategies and Information Technology Timothy J. Shearer, to assist the Archive in realizing the new design. The Archive is especially grateful for the work of Nathan Rice, from Research Computing, and Luke Aeschleman, from the Libraries, whose programming and web design assistance were vital to the completion of the redesign. At the moment I am unable to access the Erdman Complete Works on the new website. When I click the link, a blank page comes up. Please could you advise how to access this section? Hi, Claire. It might be a compatibility issue. Could you tell us what operating system and browser you are using? In the meantime, try using a different browser or updating to the latest version. I just tried Safari and Chrome, and it loaded OK. Alternatively, if on a slow connection, it might just take a little while to load. Hi Eric, thanks for your reply. I will try it on a different browser and let you know how I get on. Thank you, I have downloaded Google chrome, and have been able to access the Erdman Complete Works using it.